This section deals with the Laws of Noah, and the Talmudic references that describe them and their derivation. But before I do that, it feels like we need to define a word – Talmud. Basically, after the destruction of the second Temple the ancient Jews organized all of the teachings of their Rabbis into a giant collection of books called the Talmud. The Talmud is divided into two “types” of text. When I quote from it, I am quoting teachings from ancient Rabbis to explain Jewish thought on the subject. It is not scripture (not even the Mishnah), and should not be taken as scripture. The Talmud is pretty dry, so if you just want a basic rundown of the topic, you might consider skipping to the second section. I summarize this section briefly in the next section, to save you from having to read all of this. But if you are interested in a detailed description, this section is for you. They are named this because they are for the Sons of Noah – all mankind – as opposed to the Hebrews solely or some other subset of mankind. There are 7 items in this Law. The first 6 are derived from an interpretative breakdown of Genesis 2:16, which says “And the Lord God commanded the man, saying, of every tree of the garden, thou mayest freely eat.” Some of their derivations here are a bit of a stretch, so in many places they back them up with other verses in scripture. 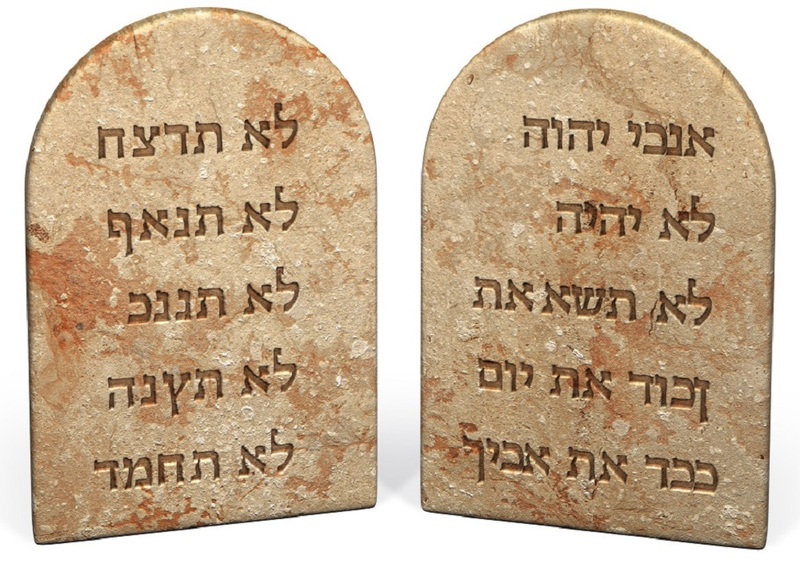 Note that the way these are derived is not set in stone and is somewhat controversial among the Rabbis. This one will take a bit of explanation. The understanding of exactly what this means is kicked around by the individual Rabbis in the Talmud quite a bit. So in a nutshell, we are talking about the need for humans to have governance, ensure justice and all that good stuff, and perhaps also talking about social laws such as respecting your parents. Maybe. The second law is the prohibition of blasphemy against God. In addition to being derived from this part of Genesis 2:16, it is further supported by the fact that, in Leviticus 24:15, it is said that “any person/man/one who curses”, rather than “any Hebrew who curses” or any similar thing. So blasphemy here is specifically dealing with cursing. The Talmud goes out of its way to state that this is not about whether you kiss or embrace an idol during a specific instance (when it is not a standard, regular object of worship) but about whether worshipping idols is a regular part of your life. If you are worshipping idols, you are worshipping the creation of the creation rather than the Creator God. Further supported by Genesis 9:6, where it is written “Whoever sheds human blood, by humans shall their blood be shed; for in the image of God has God made mankind” and by God’s reaction to Cain slaying Abel, in which it is said that Abel’s blood cries out to him from the ground for justice and in which Cain is cursed, and then protected from the natural consequences of his action by God out of mercy (when God gave him protection from retaliatory bloodshed by the hand of mankind). Specifically adultery. Wikipedia uses the vaguer term “sexual immorality” but the actual wording is more specific (although the argument has been made that other forms of sexual immorality are manifestations of adultery, but since we are just describing the Jewish stance on this whole issue and Christians dont believe the Noahide Laws as laid out in the Talmud are actually a thing, spending too much time on that debate seems pointless). In this case, as written, it is specifically adultery, and is further derived from Jeremiah 3:1, in which it is said that the land as a whole (presumably any land) was “cursed” or “defiled” by the wrongness of adultery. The rationale here is that mankind was given the ability to eat anything he took from the tree, but he could not seize it from someone else who owned it. Theft is frowned upon everywhere it shows up in scripture. The Hebrews were actually pretty concerned with the issue of animal cruelty. I think I have something I wrote on that topic lying around somewhere. I might dig it up and post it here if you guys are interested. As far as I know the only way a modern person would be in danger of violating this law is in eating certain shellfish, but even then the meat isn’t cut from the animal (since Jews don’t eat shellfish they probably did not consider wording this interpretation to include them). *The Rabbis dont agree on exactly how to derive these 7 from that verse, and some switch the derivation of 1 and 3, which is why their two derivations are the same. You can see the actual Talmudic text being discussed here. One of the most poorly understood things I see on the internet from people discussing Christianity and/or Judaism is the role of OT Law in those individual theologies. People often object to the idea that Christians do not follow OT Law, asking why God “changed his mind” and why a perfect God would not have the same set of rules for everybody. The second objection I am going to respond to quickly, because it is foolish – the idea that a perfect set of rules/laws would be the exact same for all people in all situations independent of context seems like it is pretty obviously, intuitively false, and we author good laws all the time that are not that way. Our children do not have the same laws as our adults – they cannot vote, they cannot drink or smoke, the criminal justice system responds to their crimes with more leniency. And we can look at laws that ancient cultures like the ancient Hebrews advanced and see how they were good for that culture but not really sensible for ours. A good example of this is dietary restrictions. In a desert society with limited technology, an animal which drank large amounts of water and was difficult to prepare such that it would not make you sick, like a pig, did not make sense as an animal for consumption. This is no longer how the world works, we can solve this problem without much trouble. A good legal system takes context into account. It has ideals which it protects with subjective rules whose job it is to defend those ideals in the individual situations to which they apply. Now for the first objection. Did God change his mind? 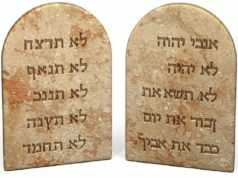 In the OT, there are different sets of laws given to different people, and the Hebrews have never considered theirs to be objective morality. They bind non-Hebrews to the Noahide Laws/Laws of Noah, the laws given to all of man: Do not blaspheme, do not practice idolatry, follow “social laws”, do not shed blood, do not eat meat cut off of a live animal, do not rob, do not commit adultery. We went over this in the last section, but in case you skipped over it (I probably would have) now it is summarized. 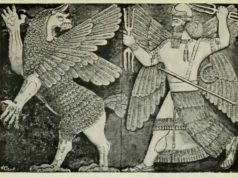 So if you ask why Christians are allowed to eat pork and shellfish, the answer from the Hebrew perspective (who do not consider Christians to be following the true God) is pretty straightforward – we are gentiles, and are not bound by the Old Testament Laws given specifically to the Hebrews. It gets a bit more complicated than that from the Christian perspective, but we will get to that in the note which follows this one. Furthermore, even more deeply, not all laws in the Old Testament even apply to all of the Hebrews. Today I saw an image macro which was talking about Leviticus 10:6, a verse which appears to command that those it is addressing not tear their clothes or allow their hair to become unkempt. 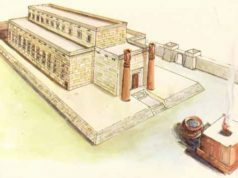 This is not a law for Israel as a whole, it is specifically given to Aaron and his descendants – Aaron is the ancestor of the Kohen, the Priests, and these laws for Aaron and his descendants are not for all of Israel, but are specifically to the Priests and deal with how to honor the office they have been given. So interpreting how and where to apply these laws is not as simple as taking the law itself and assuming it applies to everybody. This is important to people who seek to understand what is going on in the text. In order to see how this plays into how Christians should look at Old Testament Law, check out this article.